From Chanel Couture’s office-paper sky-high chapeaus to Aretha Franklin’s unforgettable, bow-adorned Inaugural pillbox, 2009 might as well be deemed the year of the hat. After all, come February 24, London’s Victoria and Albert Museum will pay homage to the timeless accessory with an exhibition curated by one of the fashion industry’s leading milliners. Stephen Jones, who has crafted caps for everyone from Dior and David Bowie to Beyoncé and Balenciaga, has put together a collection of iconic hats, including quite a few of his own creations. 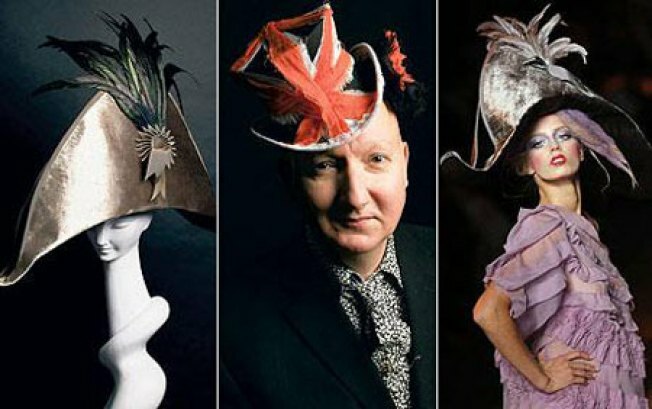 Of the exhibit, the Telegraphsays: “The exhibition at the V&A, designed by Michael Howells, will show the lifespan of a hat from inspiration through to the milliner’s ‘salon’, complete with hat boxes and mirrored dressing tables, and will look like a magical garden at twilight. The central pavilion will house a millinery workroom, where we will see the process of hat making, the roof of which will be a hat.” Expect everything from a Coptic fez and Egyptian Anubis mask to Marlene Dietrich’s beret and Audrey Hepburn’s hat from My Fair Lady. Hey, at least it’s easier to digest than eye patches becoming the next the accessory du jour.